Jamil Avdiyez joins Aaron as the two recap what was both their first Weston A. Price Wise Traditions conference. The two are members of the Pasadena chapter and have both gotten involved with WAPF in the past year. Like Jamil and Aaron, many have recently joined Weston Price as the conference had its largest attendance yet. Jamil and Aaron discuss what they see as the future for WAPF. They recall their favorite moments from Wise Traditions in terms of the speakers, the exhibitors, the networking, and the food. 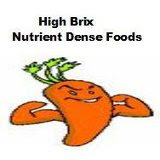 Jamil also talks about his business High Brix Nutrient Dense Foods and how it relates to the principles of Dr. Weston A. Price.